Sandra M. Moran, 76, of Orange, entered into eternal rest peacefully on Wednesday, October 24, 2018. 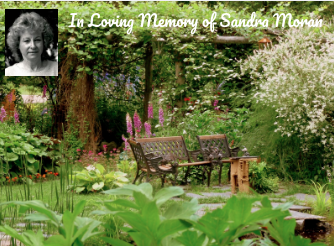 The daughter of the late Alfred and Ann Gondola Bouteiller, Sandra was born on December 31, 1941, in Derby. Sandra is survived by her beloved husband Leo T. Moran, her sons Paul (Sue) Moran, Thomas Moran and grandchildren Bailey and Ryan. She also is survived by her twin sister Leela A. Wojczak, nephew Anthony (Mary) Wojczak and niece Wendy Wojczak. Sandra is predeceased by her infant son Leo, Jr. and her brother Alfred Bouteiller. Upon high school graduation, Sandra became a certified Operation Room Technician and worked at Griffin Hospital for 15 years. Then she worked at the Veteran Hospital in West Palm Beach as a Medical Transcriptionist, which she retired from. She was a huge Red Sox and UCONN Women’s fan. Sandra also loved to travel whenever she could. Family and friends are invited to call on Sunday, October 28, 2018, from 4 to 7 p.m. at CODY-WHITE FUNERAL HOME, 107 Broad St., Milford, CT. A Mass of Christian Burial will be celebrated Monday, October 29, 2018, at 11:00 a.m. at Holy Infant Church, 450 Racebrook Rd, Orange, CT. Burial will follow at Orange Center Cemetery, Orange, CT. In lieu of flowers, memorial contributions may be made to the Orange Volunteer Fire Dept. PO Box 878 Orange, CT 06477, Charter Hose Co. #4 4 Murry St. Ansonia, CT 06401, or Hospice. To leave online condolences, please visit our website at www.codywhitefuneralservice.com.